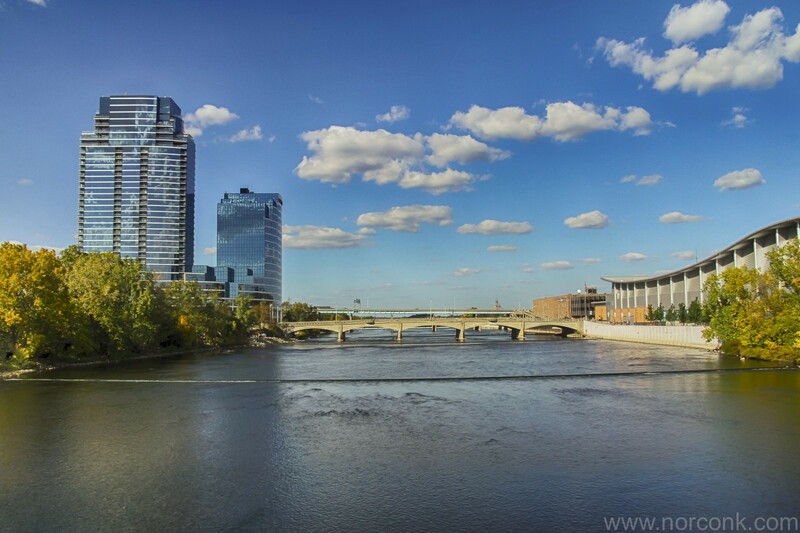 This was taken during Artprize 2012 – though it has nothing to do with Artprize, it was just a time when we were downtown in the late afternoon where the light was good for this shot. 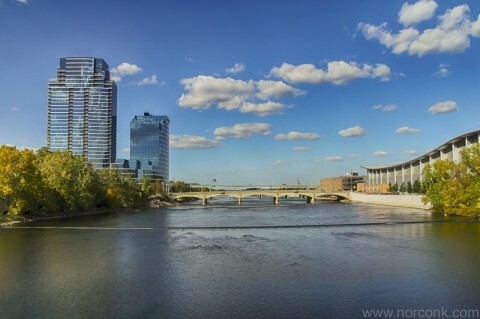 Picture is looking North up the Grand River. I can’t decide if I like the cloud reflections in the building or think they’re just distracting. Picture taken with Canon 60D, EF-S 17-85mm lens @ 17mm, 1/640, 1/400, 1/320 second shutter, ISO 200.